My 6 yr. old is a big fan of pasta sauce. Other than pasta, she likes pasta sauce on toasts, pizzas, macaroni and sometime on rotis too. And I’m a bit picky about sauces; I make lots of condiments in home. The idea is going preservative free for family in my very little way. 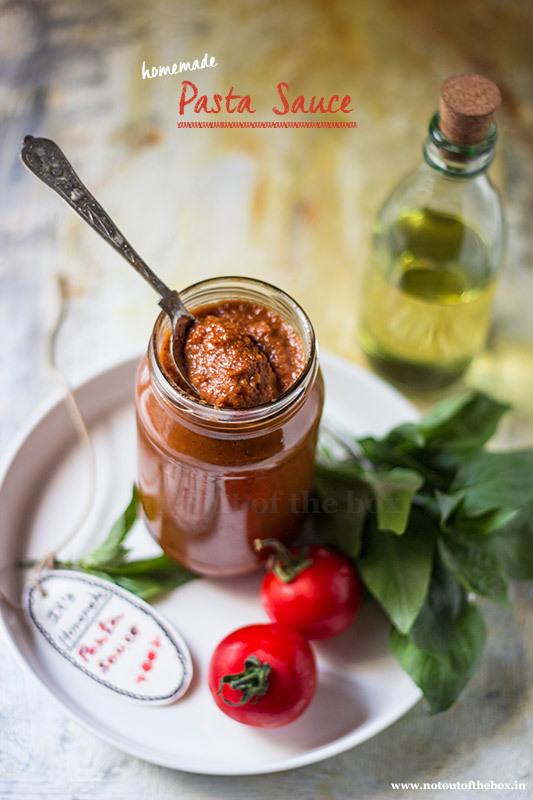 So, I’m making this pasta sauce for quite some time now. This version is almost like store brought pasta sauce, and you cannot difference the taste from those ready to use pizza/pasta sauce jars what we pick from stores in every month. The best part is, this sauce can be slathered on pizzas and the options are simply endless. 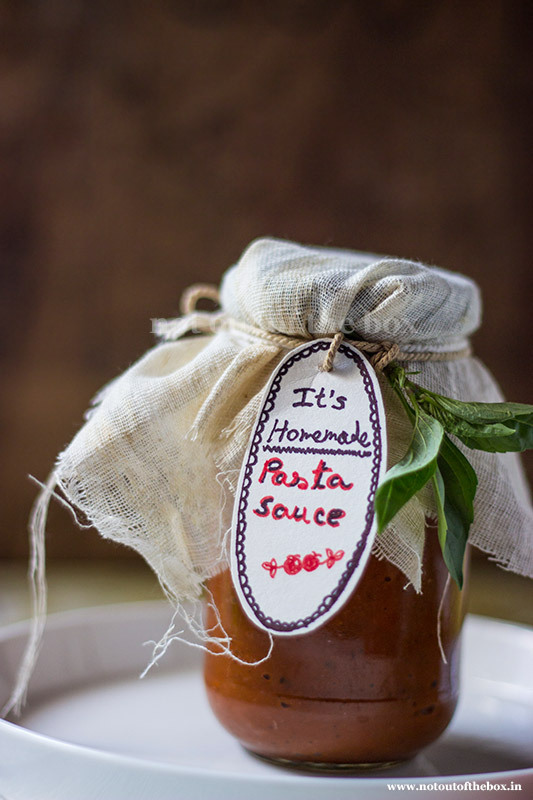 It requires only few ingredients to make, 15 minutes of cooking and you’re ready with your jar of Homemade Pasta Sauce. Sounds exciting! I know, try it ASAP and don’t forget to tell me your experience. 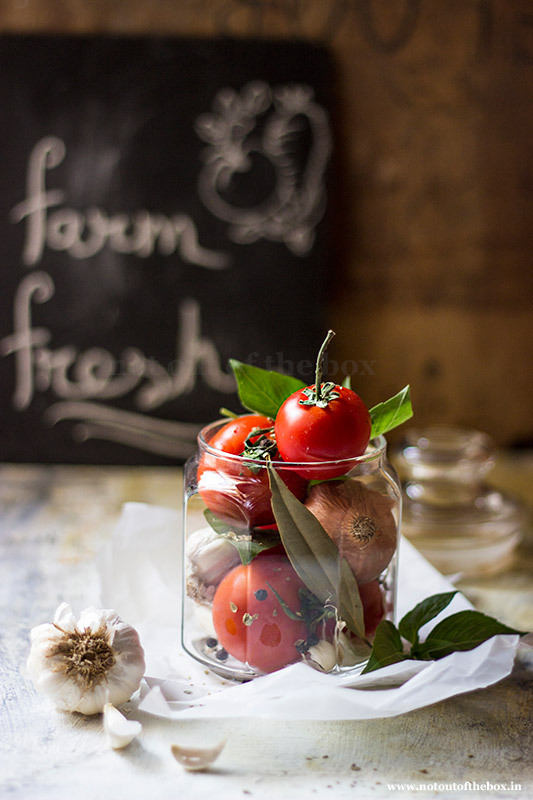 Discard the seeds and chop tomatoes. 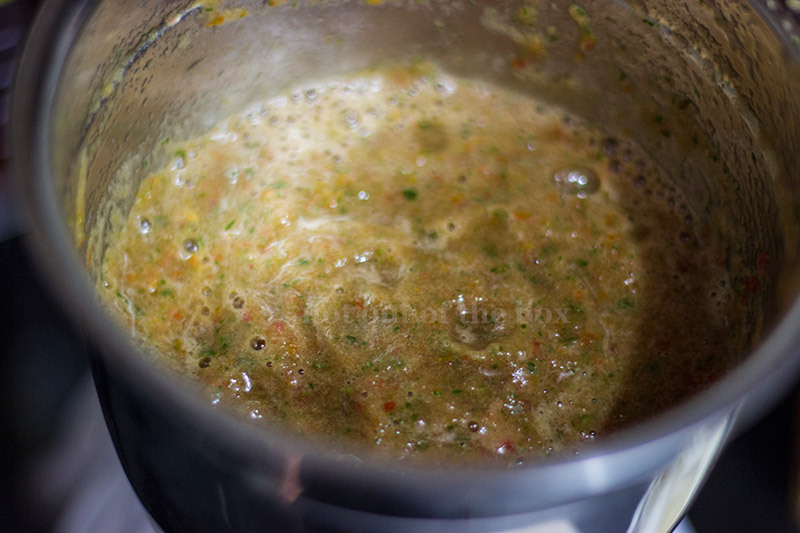 Add chopped tomatoes, chopped basil and garlic cloves in a mixer/grinder. Grind until a smooth paste forms, keep aside. Heat oil in a frying pan (nonstick preferably). Add chopped onion, sauté until transparent. Now add tomato paste, tomato puree, oregano, black pepper powder, salt and bay leaves. Mix well and simmer for 15 minutes. The sauce will thicken within this time. Keep stirring in between. Let the sauce be cooled completely in room temperature. Add this sauce in your mixer/grinder discarding the bay leaves. Grind until a smooth sauce forms. 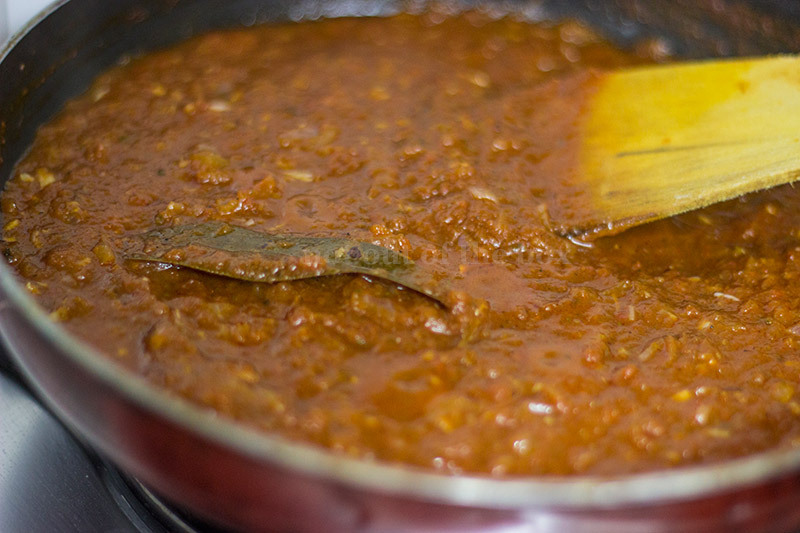 Your pasta sauce is ready to serve over pastas. Store this into sterilized glass containers. Keep refrigerated always and use a dry spoon every time. This sauce stays good up to 2 months in the refrigerator. Sauce can be stored in the freezer as well, just thaw before use. If you’re making a large batch to use in the next 5-6 months, then freezer is the best option to store this for a longer shelf life.